Congress has done, well, basically nothing to ensure that the 2018 midterm elections won’t be in some way compromised by hackers, even though almost every lawmaker is adamant nothing could be more important than securing the vote. Making matters worse, it now appears that even states willing to accept the federal government’s offers of assistance could be left waiting for help to arrive until just weeks before elections begin. On Friday, Politico reported that some states may have to wait as long as nine months before Department of Homeland Security (DHS) officials can deploy experts to carry out the agency’s most thorough vulnerability assessment. That means, in some cases, election boards may not receive the feds’ help until the November elections are nearly upon them. In January, former DHS Secretary Jeh Johnson designated election systems nationwide as “critical infrastructure,” putting them on par with nuclear power plants, at least in terms of federal resources and help made available to state and local governments. This included not only assistance in evaluating security around the voting machines themselves, but aid required at polling places, vote tabulation locations, and other systems involved in the process. The current assistance backlog in services is limited to the most exhaustive “risk and vulnerability” assessments offered by DHS: a “multiweek probing of the entire system required to run an election,” Politico reports. Up to 31 states are already being actively scanned remotely by DHS—tests that the agency says are not as thorough but take only a couple of weeks to schedule. DHS also actively shares information about potential cyber threats with the states that ask for it. 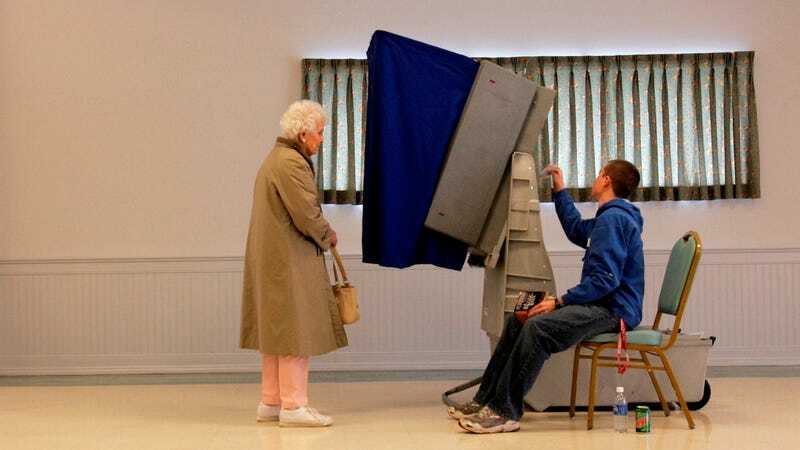 DHS officials told a Senate panel this summer that Russian hackers had attempted to hack or scan election systems in as many as 21 states shortly before the 2016 election—among the targets were key political battlegrounds such as Florida, Ohio, and Pennsylvania. Politico reported last month that partisan disagreements in Congress were largely responsible for impeding any progress on an election-security package and that, in the Republican-controlled legislature, repealing Obamacare and revamping the tax system had taken priority instead.